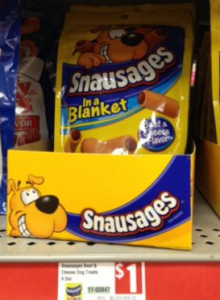 If you’ve got a Family Dollar nearby, use this $1.00 off PRINTABLE COUPON to pick up a FREE Bag of Snausages Dog Treats! Most locations carry them for just $1.00, making them free. 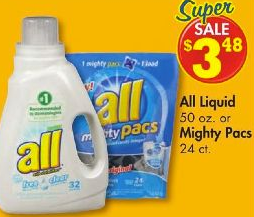 Today only, Family Dollar is offering a high value $2.50 off All Detergent store coupon! The coupon can be printed out, or you can text DEALS to 28767 to snag the coupon. 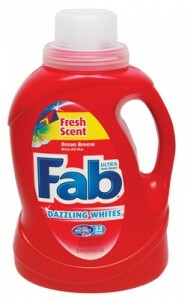 Check out how you can score All Detergent for FREE! Coupon is accessible today only. Reach coupon reset? 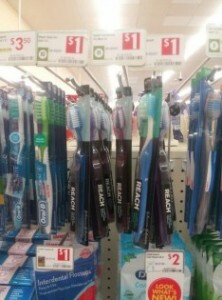 Free Reach Toothbrushes? 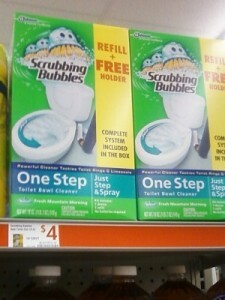 Sweet deal here if you like the Scrubbing Bubbles One Step Toilet Bowl cleaner…if you have a Family Dollar and can hurry over and print this $4.00/1 printable coupon, you can stock up for FREE!!! 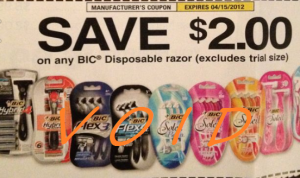 Apparently Family Dollar has the 5 packs of Bic Deuce Razors on sale for just $1.65. 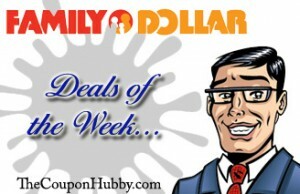 Use this deal scenario to score them for FREE!